Manchester United and PSG will play this week’s marquee UEFA Champions League tie at Old Trafford on Tuesday as the Round of 16 commences. The UEFA Champions League is finally back after a gap of two months, as the knockout stages begin with the Round of 16. The first of these matches will be played at Old Trafford, as a resurgent Manchester United side play hosts to an injury-riddled PSG outfit on Tuesday night. Manchester United qualified for the Round of 16 by finishing runners-up in Group H behind Juventus. But, the Red Devils are a far cry from the stuttering and underperforming unit that was overseen by Jose Mourinho during the group stage campaign. Under Ole Gunnar Solskjaer, Manchester United have been nigh on unstoppable, winning 10 of the 11 games since the Norwegian took over as the interim manager, with the latest success coming against Fulham last weekend. PSG, on the other hand, reached the Last 16 stage finishing atop a fiercely competitive Group C.
Les Parisiens have been in fine form in domestic competitions for the most part this season as well, although January was a tough month for them. Not only did they suffer their first league defeat but were also sent packing from Coupe de la Ligue by Guingamp. Add to that, the crippling injury troubles and the situation is quite concerning. 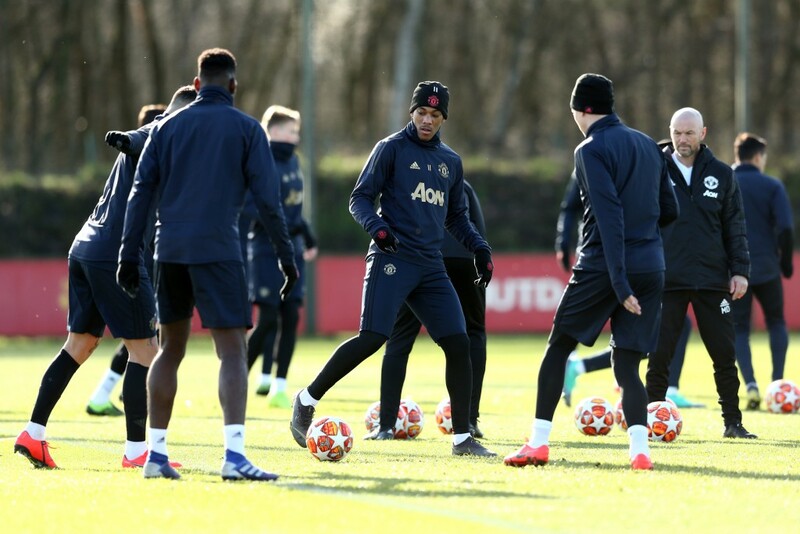 The first leg tie on Tuesday will be the first competitive meeting between Manchester Untied and PSG, and ahead of the clash, The Hard Tackle takes a closer look at the UEFA Champions League encounter. While the results themselves have provided enough positivity in the Manchester United camp, the fact that Ole Gunnar Solskjaer has nearly all his men at his disposal will be a major boost. On Tuesday, only two first-team players will be unavailable for the hosts, those being fringe players Antonio Valencia and Matteo Darmian. Solskjaer thus, has a pleasant selection headache in a number of positions ahead of the big UEFA Champions League tie. David de Gea though, is a certain starter in goal for Manchester United. The back four does present some positive question marks, but the selection of full-back slots is straightforward. Luke Shaw will continue to remain the left-back, while Ashley Young will lead the side on Tuesday, buoyed by the renewal of his deal with the Premier League heavyweights. At the heart of the Manchester United defence, Solskjaer has to choose from Victor Lindelof, Eric Bailly, Phil Jones and Chris Smalling, all of whom have presented their case lately. 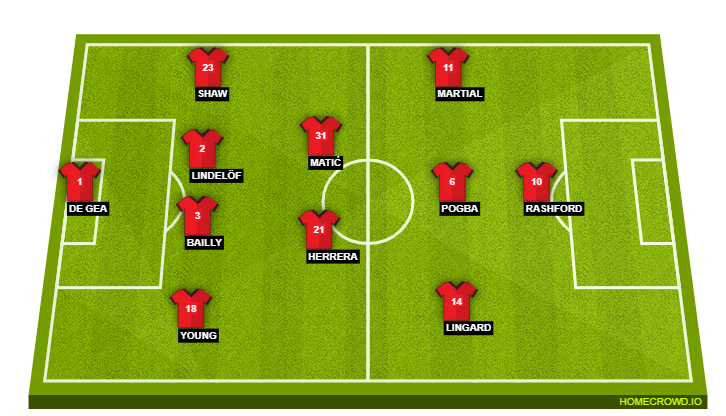 While Lindelof is a certain starter, Bailly is likely to get the nod for the final spot in the back four, despite Jones and Smalling performing well at Fulham. In midfield, however, there is no looking past the in-form trio of Paul Pogba, Nemanja Matic and Ander Herrera, all of whom bring different sets of qualities to the table. Up ahead in attack, Marcus Rashford is an automatic selection, with the Englishman being well rested ahead of the PSG tie. Anthony Martial should start as well, following his match-winning performance against Fulham. The last place in the side ought to be taken up by Jesse Lingard, whose exemplary work-rate will hold the key as well. Thomas Tuchel does not have many players unavailable ahead of the trip to face Manchester United. In fact, on Tuesday, the PSG boss will have just three first-team players unavailable. But, it is the stature and importance of those players within his squad and their absence, that is troublesome. One area where there is no concern whatsoever is the goalkeeping department, with both Alphonse Areola and Gianluigi Buffon available. Buffon though, should start in the PSG goal. There aren’t many issues in defence either, although Thomas Meunier (concussion) is a major absentee. In the Belgian full-back’s absence, it is expected that the versatile Thilo Kehrer will start as the right-back, with Dani Alves playing further forward in attack. 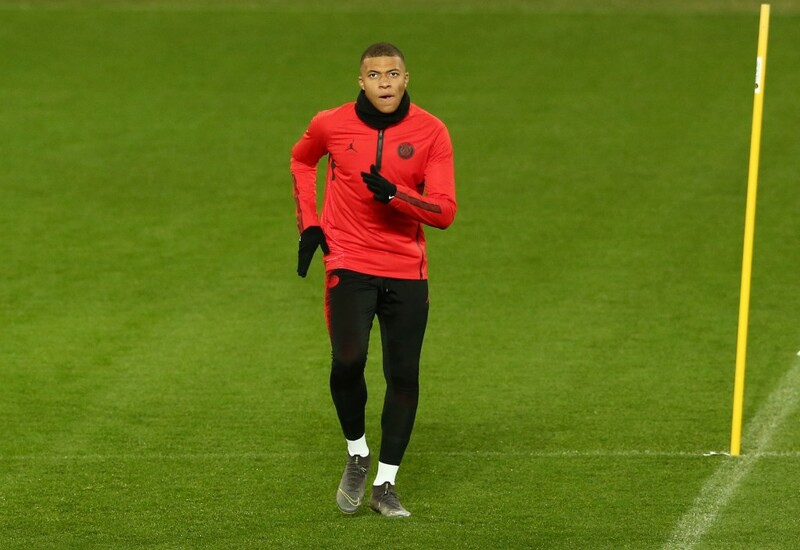 At the heart of the PSG defence, Thiago Silva and Presnel Kimpembe will have the unenviable task of containing the dangerous Manchester United attack, with Juan Bernat completing the back four. For the midfield, Tuchel has hinted that January signing Leandro Paredes might feature. But, the Argentine is only likely to make an appearance off the bench to replace under-fit Marco Verratti, who will likely have Marquinhos as his partner in the double pivot. Attack, meanwhile, presents the major cause for concern, with Neymar (foot) and Edinson Cavani (hip) both unavailable. Cavani’s absence means Kylian Mbappe will now lead the line for PSG against Manchester United, with Angel Di Maria taking the spot that Neymar would have filled. Julian Draxler should start in the hole. This will be the first competitive meeting between Manchester United and PSG. Four of the last five two-legged encounters between teams from England and France in the Champions League knockout phase have seen the French side progress. PSG have reached the Champions League knockout stages for a seventh consecutive season, the longest current run after Real Madrid (22), Barcelona (15) and Bayern Munich (11). No French team has ever beaten United away from home in European competition (D4 L10). In fact, in the UEFA Champions League, only two French sides have avoided defeat at Old Trafford: Monaco in March 1998 (1-1), Lille in October 2005 (0-0). PSG have won only one of their 10 away games in all competitions against English opposition (D4 L5). That success came in a 2-1 victory against Chelsea in March 2016 in the round of 16, which was also the last time they progressed through a knockout round of the Champions League. Manchester United have won only one of their last nine UEFA Champions League knockout games (D3 L5) – against Olympiakos in March 2014 (3-0). With two of the fearsome PSG attacking trident missing, the onus will largely be on Kylian Mbappe to produce the goods, if the visitors are to take anything away from the first leg tie. The World Cup winner is perhaps the most promising young talent in world football and a bonafide superstar now. 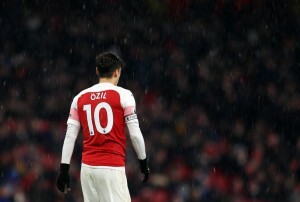 But, if he can manage to inspire an elusive win in the UEFA Champions League Round of 16 tie amid a major attacking injury crisis, it would be nothing short of a huge achievement for the Frenchman. A red letter day for Mbappe and PSG. PSG have been quite dominant for the most part this season. But, if the month of January showed something, it is that even a formidable squad such as Les Parisiens’ has chinks and can be beaten. And, at a time when two of their biggest players are missing, Manchester United have their best chance to make it to the UEFA Champions League quarter-finals. Despite their injury troubles, the Ligue 1 leaders are still quite fearsome, and the Red Devils cannot take their visitors lightly on Tuesday. As far as United are concerned, the Champions League tie marks the start of a testing phase for Ole Gunnar Solskjaer, who can prove his credentials to become full-time boss over the next month or so. The hosts have all the momentum, and the happy feeling in the camp should inspire them to a big result against the French champions. The Hard Tackle predicts a 2-1 win for Manchester United, a result that will leave the tie in the balance.